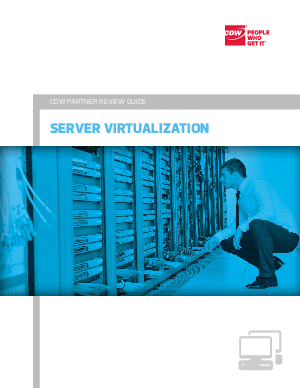 Server virtualization is no longer a luxury but an essential part of the modern data center. By combining the workloads of several underused servers, you can get more out of your hardware when IT budgets stay flat, even as demand goes up. But adding a virtualization solution to your data center is just the beginning. Without proper planning and ongoing maintenance, you can run into serious challenges that may end up canceling out the advantages that server virtualization offers. What technology needs are you trying to meet with server virtualization? How secure are your data and computing devices? How much are you spending on energy? How are you managing application delivery and operating system updates?